Money Matters is a Best Seller on Kindle! Yea! The most dynamic financial education speaker’s first book has become an Amazon Best Seller on Kindle! It was in the #7 position before it settled into the #19 position. The workbook is available on Kindle for only $0.99! Hurry, download your copy now. With so many people celebrating our country’s Independence Day, it seems only appropriate that we should take a moment to consider how to create personal, financial independence. There are five simple steps that can help you create, and manage, generational wealth. Remember, it’s not how much you bring in that determines your net worth. How to use your money is what separates the wealthy from the mediocre. have to know where you stand financially if you want to grow. Take a moment to make a list of all your assets (things that you own) and subtract all your liabilities (debt you owe) to find your net worth. My first book Money Matters: The Get It Done in 1 Minute Workbook ($12) has a really simple worksheet to help you understand where you’re starting from. Once you understand what you have (assets), what you owe (liabilities), and what your financial value is you can start to plan where and how you spend your money. Most of us waste more money than we realize on small purchases. We have to find opportunities to make small changes that make a big difference. For example, once you notice that you spend $20 a month on sodas at work (that’s $240 a year) you can choose to bring sodas from home or better yet start drinking water and start investing the money you were wasting. Now that you’ve found a few places where you can save a few dollars, you’re going to start investing that money for your retirement with the goal of leaving an inheritance for your loved ones. 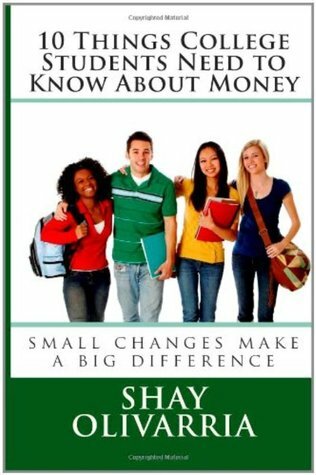 Differences between retirement accounts are explained in my book 10 Things College Students Need to Know About Money ($15). If you’re wondering why planning to leave generational wealth to your loved ones is important, download my free eBook “You Shouldn’t Take It With You”. Realizing that your net worth is negative or that you’re spending way too much money on things that are not helping you build wealth …. Click here to read the full article.